Key West is one of the top wedding destinations in the country. With the influx of grooms and brides-to-be, local vendors must be top-notch to fit all the different needs and visions of visitors and locals. If you’re booking your special day in Key West, consider our new Sunset Green Event Lawn at 24 North Hotel. The event space offers lush, verdant landscaping, creating a versatile and laid-back atmosphere for you and your guests. Read more. Planning your wedding from a distance? 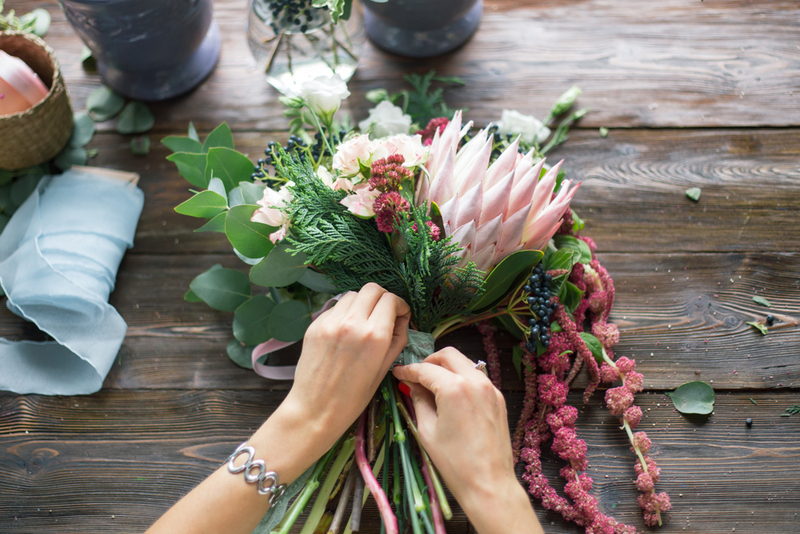 Selecting a florist, caterer or wedding planner may seem overwhelming, but local Key West vendors are practiced, experienced, and prepared to provide you with the best results on your wedding day. Not sure who to choose? Read up on these trusted, local vendors. Just Save the Date has an excellent reputation for wedding and event planning in Key West. They are known to be communicative and sensitive to the wants of their clients. Whether you’re planning a destination wedding or hometown affair, their trusted planners have a good handle on Key West weddings and the best vendors in the area. Milan Event florists are best known for their spectacular centerpieces. All floral work is done in-house; flowers arrive fresh and beautiful for your wedding day. The company specializes in destination weddings, so if you’re planning your wedding from afar, rest assured with Milan Event. They also offer rentals such as lighting, linens, furniture, structures, and more. Beloved for their eye-catching bridal bouquets, Love in Bloom also creates artful boutonnieres and corsages. Interested in ceremonial decor? This company provides a variety of decorated pedestals and arches that perfectly frame the ceremony. Love in Bloom is a reliable florist that has served many happy customers. With over 10 years photographing weddings in Key West, Rachel Ligon takes intimate wedding photos in natural settings. Her experience working in Key West has made her a wedding photo expert with an excellent eye for the perfect shot in unassuming places around the island. Want to see for yourself? Take a look at her portfolio. Founded in 2015 in Key West, DockLight enjoys 5-star reviews from its clients across the board. Their professional team adds a personal touch to wedding films with careful videography that captures the beauty of Key West. See DockLight’s portfolio here.